Feeding dairy cows on pasture challenges nutritionists and producers due to changing pasture quality and availability which make dry matter intake (DMI) difficult to monitor and control. Milk yield per cow and milk fat percentages in pasture-based systems are frequently lower than in confinement. Some producers are using a ‘hybrid’ approach- many dairy producers have the knowledge and equipment for total mixed ration (TMR) feeding systems and have incorporated a “partial” TMR (pTMR- partial since the pasture is not physically part of the mixed ration) into their summer grazing management. Why Feed a pTMR with Pasture? Increasing numbers of dairy producers in the northeastern and midwestern US are using or have expressed interest in using a pTMR with their grazing dairy cows to maintain or improve milk production and composition, particularly as herd size increases with the land base remaining constant. Few recommendations exist regarding the use of a pTMR. Therefore, we rely on basic ration balancing methods and practical experience for developing feeding recommendations. Environmental benefits due to better utilization of nutrients. Higher energy intake and body condition. Balancing a ration for cows on pasture is the same as formulating a ration for confined cows. Pasture is simply an ingredient that is not mixed in the mixer wagonrather, it is mixed in the rumen with the other pTMR ingredients. 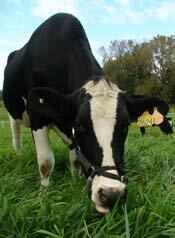 Since pasture quality can vary widely, Forage Testing of pasture as well as the pTMR is crucial in balancing the diet. While this may seem an obvious statement, in a case study conducted at our location that monitored pTMR use on 13 farms in PA and NY, we found that some producers and nutritionists are not fully aware of the nutritional quality of pasture. In our study, the most common change in the pTMR was to replace pasture for grass silage on a 1:1 DM basis since grass silage most closely matches pasture in terms of nutrient content of any pTMR ingredient. The second most common change was to reduce the protein level in the pTMR, usually through reducing or eliminating protein supplementation to compensate for the typically high rumen degradable protein levels in well-managed pastures. Other changes may include the addition of other fiber (forage or non-forage) sources to compensate for low pasture fiber, particularly during the spring season. 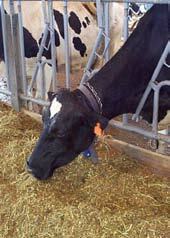 Other farms, however, were found to be overfeeding protein, particularly rumen degradable protein. Not only does this waste money, it causes greater nitrogen losses in urine. Is Feeding Pasture Plus TMR Economical? Research at our location, using a whole-farm simulation model, showed that utilizing a pasture plus pTMR was comparable economically to feeding a TMR in confinement, and both TMR systems increased net return per cow by an average of \$260 annually when compared to pasture plus concentrate. In addition, the pasture plus pTMR provided environmental advantages in terms of lower phosphorus and potassium accumulation when compared to the confinement system. How Much pTMR Should I Feed? As pasture quantity decreases, the amount of forage in the pTMR can be increased to meet this deficiency. When to Feed a pTMR? Timing of pTMR feeding in relation to milking and grazing may affect intake of both TMR and pasture. Feeding a pTMR before cows graze will encourage greater pTMR consumption but it may lower pasture intake. A pTMR may also provide better synchronization of nutrients in the rumen; energy and effective fiber in the pTMR and protein in the pasture. Alternatively, offering pTMR after an initial period of grazing may decrease pTMR intake and maximize pasture utilization. While pTMR can be used to complement pasture and provide a balanced ration, pasture variables such as pasture DMI, quality and quantity, and selective grazing behavior still challenge nutritionists and producers. These management practices below can help to effectively incorporate a pTMR in a pasture-based system. Provide adequate feed bunk space Cows have a limited time to consume pTMR before returning to pasture. It is important to provide sufficient bunk space (25 to 30 inches/cow) so all cows have sufficient opportunity to consume the pTMR. This ensures that aggressive cows do not dominate the feed bunk by keeping more submissive cows from consuming their share of the pTMR. Including Corn Silage Corn silage in a pTMR can be an excellent supplemental forage as it adds rumen fermentable carbohydrates as a source of energy for the rumen microbes (to recapture the abundant pasture protein) and also ‘dilutes’ the high protein in pasture. Corn silage also adds effective fiber that can complement high-quality pastures. Corn silage is a highly palatable feed, an excellent carrier for supplemental grains, and may allow for a reduction of concentrate fed. Flexibility Many farms in the case study were flexible in pTMR formulation, reacting quickly to perceived changes in pasture quality or quantity. Flexibility is key in utilizing a pTMR on pasture-based operations- flexibility in ingredients used in a pTMR to keep costs low, to meet nutrient demands, to maintain satisfactory milk production and milk components, and flexibility on the part of producers and nutritionists in reacting to changes in environment, pasture quality and quantity, feed prices, and animals.